"Imagine your worst fear a reality"
The Howling takes us through the horrific journey that one television reporter endures after some deeply traumatic dealings with a serial killer that becomes sexually obsessed with her. The plot thickens as the reporter follows the advice of her psychiatrist and, along with her husband, heads to a secluded area in the forest that is referred to as The Colony for some group therapy and a little rest and relaxation. She immediately gets weird vibes from the others in the area but little does she know that the true terror doesn't start to transpire until the night is dark and the moon is full. Before long she realizes that her nightmares are nowhere near ending, but only just beginning as she finds herself and her husband falling victim to the source of the things that go bump in the night. 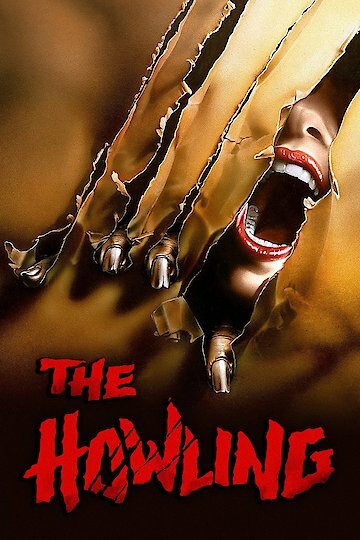 The Howling is currently available to watch and stream, buy on demand at Amazon online.